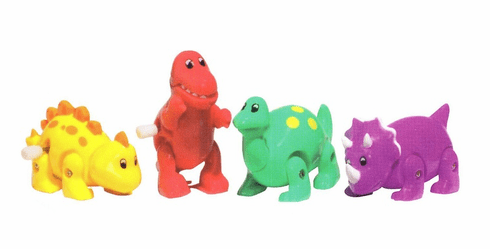 These cute wind up dinosaurs will march along your desk. Assorted styles and colors. Price per item.